We know meeting someone for the first time can be intimidating, and going to a new church for the first time can be nerve-racking. We want to help make your first experience at Maker City Church a great one! Maker City Church meets every weekend and offers experiences for adults and kids from ages 6 weeks to 5th grade. Our Sunday worship experience starts at 10:30am, and usually lasts around 75 minutes. Maker City Church is located at 211 W. Fifth Avenue at the historic First Christian Church building. While that may sound confusing, we promise our banners make it easy to find! Parking for families and first time guests is next to the building, and all other guests are parked across and down the street. We have parking teams ready to greet you, so be on the lookout for our volunteers' smiling faces to guide you to your spot! What's the culture like at Maker city Church? Sunday's at Maker City are exciting, fun, and free from pretense. Come as you are and expect to feel welcomed as our guest. We believe that kids should have a blast at church every single week - and at Maker City Kids, we make this a priority. The other thing we make a priority is your children’s safety. Because of that, we have a detailed check-in process for our Maker City Kids program the first time that you visit. You’ll want to leave yourself an extra ten minutes to get signed in for the Maker City Kids experience. Maker City Kids is offered at every Maker City Church service for kids ages infant through Grade 5. 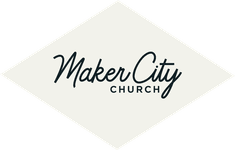 Ready to check out Maker City Church in person? We can't wait to meet you in person. Simply fill out the form below and we'll see you on Sunday!